Honestly, other than Thailand, I’ve never had a strong desire to travel to Asia. Growing up, all of my favorite movies, television shows, and books took place in Europe. I wanted to travel to Paris and live like Madeline, have a summer romance in Rome like Lizzie McGuire, and become a princess in the completely made-up but clearly European country of Genovia like Mia Thermopolis. But thanks to a childhood neighbor who brought me a gift from Thailand, and, honestly, a photoshoot at the Khlong Lat Mayom floating market on America’s Next Top Model, Thailand was added to my list of travel destinations. Don’t get me wrong, I knew other Asian countries were mystical and beautiful, too. I would see photos of friends backpacking through Vietnam, eating dim sum in Hong Kong, and exploring temples in Cambodia. But Asian culture was not something I was familiar with. Classes in elementary, middle, and high school stressed European and American history almost exclusively. We were drilled on Renaissance art and monarchies for years, and unfortunately, glossed over the entire Asian continent. And we really missed out. We had a layover in Hong Kong and I was hooked immediately by the airport alone. After eating authentic Thai food (did you know papaya salad is supposed to be spicy?!) in Bangkok and Chiang Mai, I realized how incredible authentic Vietnamese food could be, too. And after walking through Wat Po during our midnight tuk-tuk tour and learning about the violent but fascinating history of the temple, I finally understood that Thai history, and the history of a lot of other Asian countries, was almost exempt from my education. 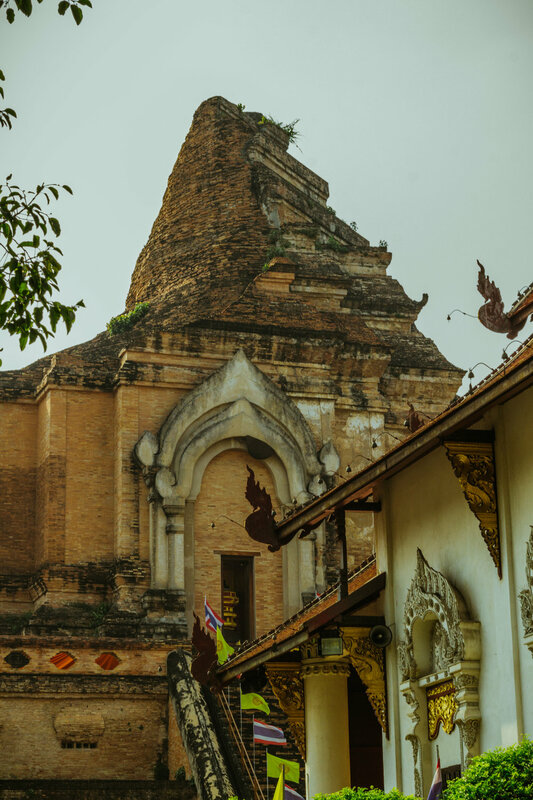 It took going to Thailand to register that I didn’t learn much about Asian history and culture through a textbook, and maybe it would be worth exploring historical sites across Asia to learn on-site, instead. Exploring Thailand completely lifted my prior inhibitions to exploring Asia. Since landing back in Los Angeles, I’ve been dying to go back. But next time, I’ll be bringing a newly developed appreciation and fascination for Asian culture and a desire to explore and understand all of it. is a senior at USC pursuing a major in Communication and minor in Marketing. She has centered her education around the intersection of media and social impact and is currently in a communication course titled WOMEN: Designing Media and Communication Projects for Social Change, which is sponsored by VICE Media. Previously, she conducted research with the Annenberg Inclusion Initiative and is published in their studies. She plans to find a career that allows her to help influence others and create social change, preferably back home in the San Francisco Bay Area.